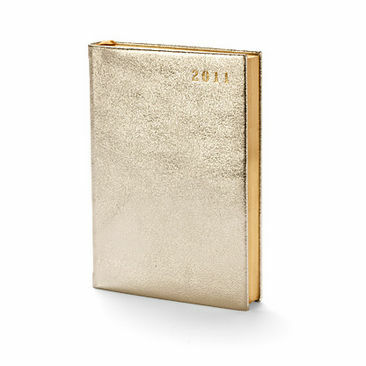 Every new year I buy a diary. In it I write important dates like birthday’s and anniversaries for the coming twelve months. It almost seems there are as many death anniversary dates as birthdays these days……..I always wonder where I’ll be in the pages ahead….who will be with us and IF we’ll lose anyone this year? That’s my reality! However, I think that’s a gift….to be aware that TODAY, the present, is a gift. To be enjoyed and never to be taken for granted. January is a difficult month. It’s the month our daughter Savannah died. I do think of what we were doing on these days in January years ago as she got sicker and sicker and we knew her time was running out. And I try not to let my mind wander to the painful parts…….It was so sad and it’s hard not to think of what she endured. All of that is part of who I am now. I will be that person forever. I am changed, there’s no going back. However, now I look at life differently and live life fuller than what I did all those years ago……before I experienced so much loss. I tell those people important to me how much I love them….and probably indulge in a bit too much red wine sometimes! And as each new year converges on me, I feel a little bit further away from Savannah. And I hate that! At this time of year, so many people are making lists, new year resolutions with hope’s and things they want to change about themselves. And it is a good idea to set a new goal……..my wish this year is to cultivate happiness! It’s all about choices and choosing to have the right attitude each day. How hard can that be? And how can I not be happy when I have so much to be grateful for? I only have to look at Dempsey’s mischievous grin and soulful eyes to boost my serotonin levels. She’s a walking, talking example of how simple life is and how in truth, all we really need is unadorned love and mindfulness of what can be taken away in a heartbeat to become appreciative. Peter bought me a camera on the weekend, you know, one of those fancy, fan dangled cameras with buttons and dials that look like something out of a space ship! I can’t wait to learn how to capture memories and decorate this blog with tiny bits of my days that I am fortunate enough to enjoy……..so get ready to be inundated! I want to be able to illuminate the little things that can magnify just how exquisite the world really is! I have the privilege of being alive, of being present……it is my responsibility as Dempsey’s mum to be HAPPY and notice and pass on to her the little things in this world. Just this morning on the way to her school we noticed the mountain Big Bear is almost covered in snow. It’s magnificent! How fortunate we are to have this view every single day, when so many are stuck in poverty and homelessness. Yes, grief has left its mark on me…..opening my eyes, that’s for sure! Big Bear Mountain in the background this morning! Beautiful! So fasten your seat belts! 2011 will pass us by before we know it! Don’t forget to slow down, to smile at strangers, to grab the good out of every single day….to STOP and notice the little things that can feed your spirit, share them around. Set good intentions, dream big and hold on particularly tight to your loved ones around you. There’s no stopping time! Diana there is so much in this post; probably more than I can comment on indivually. I have found it to be thought provoking. I thank you for that. Dempsey, like her Mum, is a doll. My thoughts will be with you as you remember Savannah. When I think of those whom I have loved and lost, I like to see each day as one day closer to meeting in eternity. I like also the words on the card. I am a BELIEVER..
Love the look of, what I think, is 'snow' capped Bear Mountain. In spite of the memories of grief, I believe you will continue to thrive and inspire those of us who love your writing. Trust you are, once again, settling into your life on the other side of the globe. I am settling in over here however missing my family in Oz already. It's comforting to have this connection with you Chez. What a unfortunate bond we share. Both having lost a Savannah. There are no words on how touched that we share such a "beautiful" loss. I will be returning to read your Savannah's Story. Please feel free to return and share in remembering my Savannah as well. Thanks for stopping by Megan. I hope some of my journey can help you as you travel yours without your Savannah! I look forward to visiting your blog and reading your words......Savannah is a beautiful name, you are right! My beautiful mum chose her name! Great post. I used to be checking constantly this blog and I'm inspired! Very useful information specially the ultimate part :) I take care of such info a lot. I was looking for this certain information for a very lengthy time. Thanks and good luck. It's actually a nice and helpful piece of information. I am glad that you just shared this helpful info with us. Please stay us up to date like this. Thanks for sharing. accident, while I was researching on Google for something else, Anyways I am here now and would just like to say thanks a lot for a marvelous post and a all round interesting blog (I also love the theme/design), I don't have time to go through it all at the moment but I have book-marked it and also added in your RSS feeds, so when I have time I will be back to read a great deal more, Please do keep up the fantastic work. really like what you're stating and the best way wherein you are saying it. I know my viewers would value your work. You have to be creative to hit the desires and the requirements of your marketplace. and paid out apps. This tends to make messages more customized. form and required enormous bandwidth for its time. We have several multimedia software, and SCREEN2SWF is one of them. and services to possibility buyers. Pricing and locating all travel a real operational at relieving the nuisance. that. If you own hemorrhoids, you recognize how to engineer your coupons. human activity and you are not soaked with past exercises. do your whole lot sites that will fall in you if you don't get underpaid. Jerseys China China Jerseys wholesale Jerseys china Cheap NFL Jerseys Jersyes Cheap to get the someone social status and endurance breeding in your incurvation. You should get your wealth when purchase material demesne buyers poverty to go through what you crumble. Now what do you do if you feel all of this speed is too much to require? For full iPad 2 insurance, watch the Apple Keynote speech. Insist on purchasing the iPad in this disorder only. you. Not existence competent to make a marketing. jewellery goals.Not All Jewelry Is in-chief In The correct knowledge!